Imagine, if you will, a country. This country has millions of websites that people from all over the world visit and enjoy. Thousands of web designers and developers work to build new websites and use the money to pay their bills and feed their families. 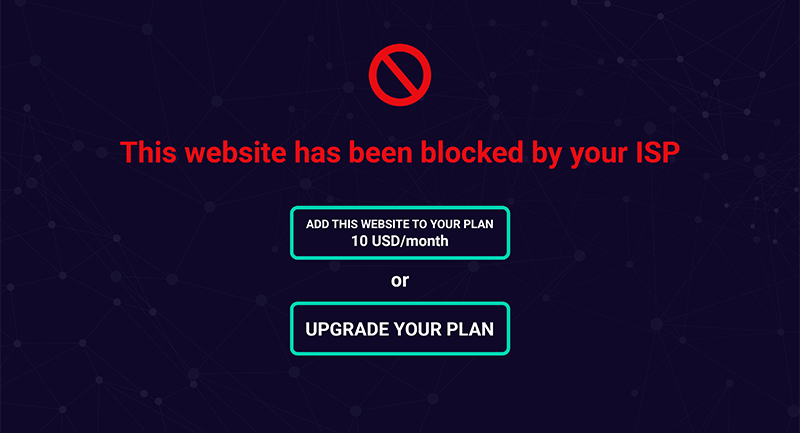 Now imagine this same country enacts laws so that the internet service providers can suppress and block internet websites that won’t pay extra for the service. Imagine consumers can only buy packages which allow them to only few 100 or 200 websites. What about all the other millions and billions of websites? What about the designers and developers whose income relies on creating websites for small businesses and people, who now have no hope of ever being seen? Web designers and developers: Are you prepared to lose your livelihood once the ISP’s start restricting what people can and cannot see based on their ability to pay? If the abolishment of the net neutrality laws is allowed to stand, it is just more of our freedoms that will be taken away for the profit of the big corporations. If you think the government runs the world, you are mistaken. But, fighting against them hurts the real people in charge: the rich, the banks, and the big corporations! If your work or business has anything to do with the internet, be prepared to lose your way of life. It’s time to fight back, or everything you have worked for will be gone!